Kazoo Audio is southwestern Michigan’s premier audio/video retailer, proudly servicing Kalamazoo, Portage, the Lakeshore, and all of Southern Michigan and Northern Indiana. 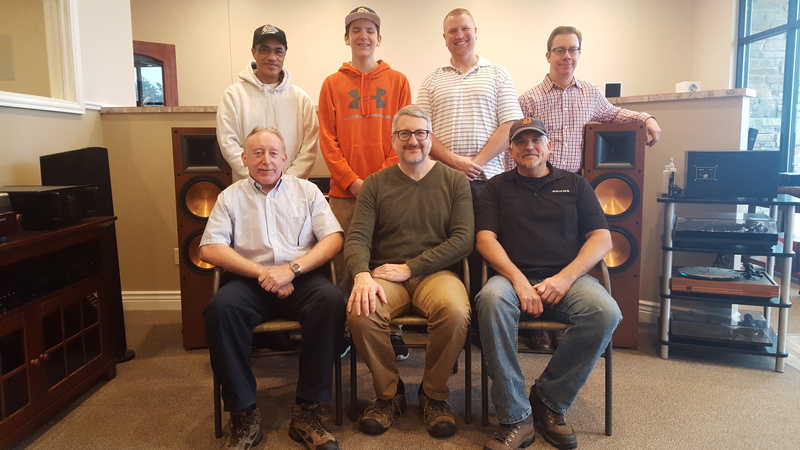 Our wide selection of high quality audio components and excellent customer service provide a reliable foundation to best serve our customers and keep them coming back. We are a team of audio enthusiasts who have the knowledge and expertise to provide you with the highest quality product and the best service. Whether you want a dynamic home theater system, wireless sound throughout your home, need your old system updated or rewired, or maybe you just want the very best sounding traditional “2 Channel” Hifi System – we can do it. We look forward to fulfilling all of your home audio needs. Kazoo Audio’s philosophy and mission has always been to provide top quality audio and home theater systems to those who desire a unique entertainment experience. We are dedicated to finding you the best possible system for your individual needs and look forward to partnering with you for your audio needs. We want to provide you with the best possible system to put music into your life in a way you have never experienced it before.We look forward to seeing you in the store or call us to schedule a FREE in-home consultation. Kazoo Audio’s philosophy and mission has always been to provide top quality audio systems to those who desire a unique listening experience. We are dedicated to finding you the best possible system for your individual needs and look forward to partnering with you for your audio/video needs. We want to provide you with the best possible system to put music into your life in a way you have never experienced it before.We look forward to seeing you in the store or call us to schedule a FREE in-home consultation. One of the oldest and the largest manufacturers of musical instruments that brings the musical reality to their consumer audio gear. Yamaha is uniquely and completely committed to 2 channel and home theater gear for the music and home theater enthusiasts. Power to the gear. Masters in surge suppressions and power conditioning. Incredible warranties and protection policies for your peace of mind. Worlds best thin speakers with excellence in fidelity and value. Favored child of industry’s most protégés audio publications. Europe’s and the Hifi industries oldest turn table company. Premium, quality, and contemporary furniture for all your audio video needs.